Featuring a beautiful hand-crafted wooden urn made out of beautiful Caribbean Rosewood with attention to detail in every aspect. Please notice the dovetail joints. 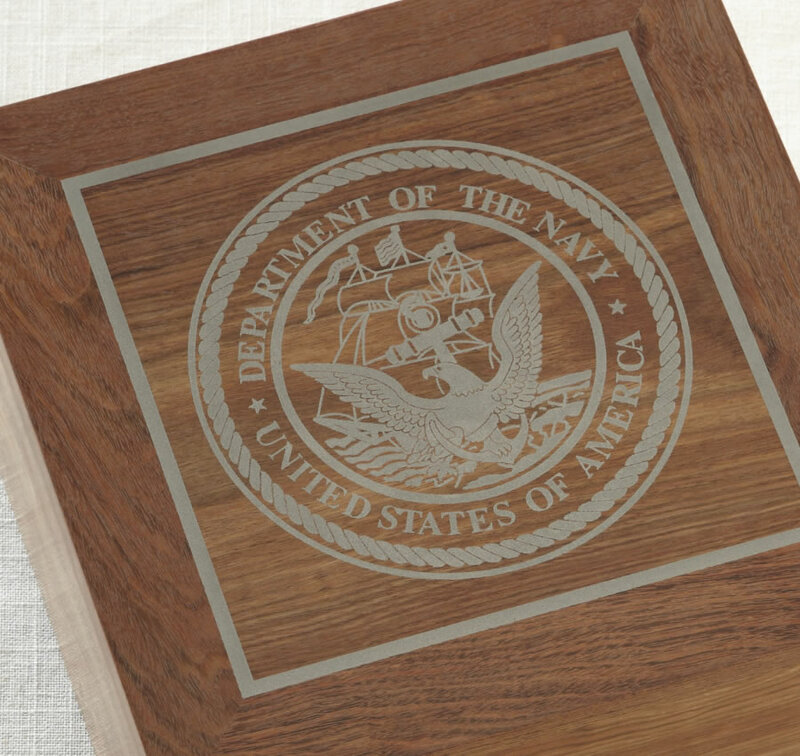 A Navy, Marines, Army, Air Force, or Coast Guard (Please choose Service Option) emblem is etched into the wood and inlaid with a silver/nickel alloy. It is then protected with a hand-rubbed wax for an exquisite finish. This is a unique and decorative art memorial that you would feel happy to show anywhere in your home. Note: These are not Cheap Chinese knock-offs. Each is professionally crafted in the U.S.
Also available as a Memory Chest style urn with a lid that opens on hidden brass hinges for customers who want a top loading urn.